Thursday is decision-day when it comes to Ferrari's driver choice for 2019. 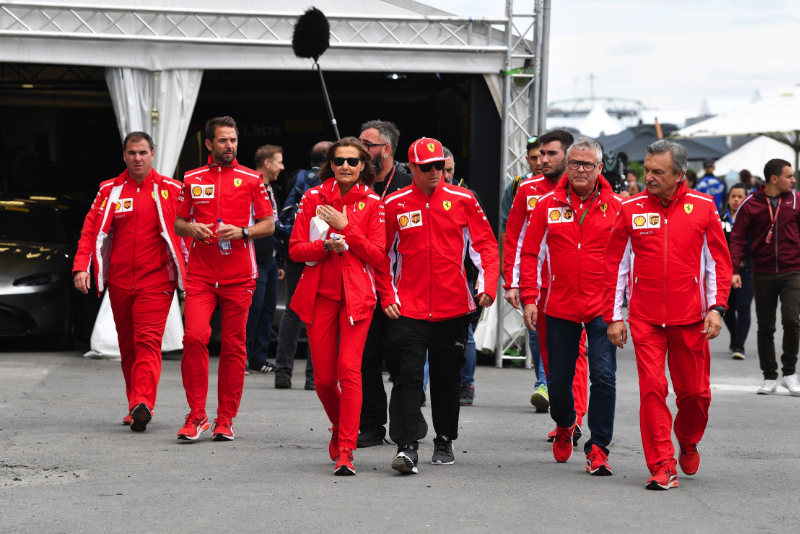 At Monza, it was rumoured that after extended internal wrangling, Kimi Raikkonen had been told he will be replaced by Charles Leclerc next year. It might explain why the Finn was suddenly arguably uncooperative on-track, receiving a slipstream from Sebastian Vettel in qualifying and then racing hard a day later. "It is clear to me that I must now compete against three cars, including my own teammate," the Dutch broadcaster Ziggo Sport quoted a disgruntled Vettel as saying. The German added: "I do not expect any help from anyone." Sky Italia claims that Raikkonen's impending exit will soon become public, with a meeting at Maranello scheduled for Thursday to formalise it. But Corriere dello Sport claims that the 38-year-old already knows his fate, following a call from new Ferrari chairman John Elkann. However, Raikkonen's fellow Finn Mika Salo cannot understand why Raikkonen did not immediately announce that news to the world when Elkann told him at Monza. "I would have expected Kimi to say it himself after Monza, but it didn't happen," the former F1 driver told Iltalehti.